Looking for that perfect gift that Special Somebody in your life? Fast, Convenient, Done For You Product. 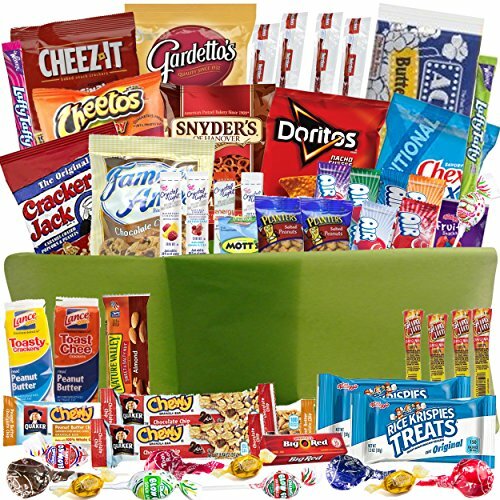 Catered Cravings offers several gift options: Sweet and Salty, or multiple Healthy Snack Care Packages in large and small sizes. Buy now for the guys and girls in your life. Choose gift at checkout to include a personal message. Tell someone That You Care About Them Now. Makes a great College Survival Kit and dorm room supplies. This Sweet and Salty Care Package in Re-Useable Snack Bin will get shipped carefully packed with the snacks, treats and candy listed above. Back to School Students? Home sick child? Send a Homesick gift today. Care package boxes will be consistent, you will get what you see in images and read in the description. You will know exactly what you are sending every time. Includes a 6 quart Re-usable Snack Bin carefully packed full of the best and most loved snacks on the market. Each bin will be shrink wrapped for safe travels. Bin measures 14" x 9" x 5". All of these premium products are guaranteed fresh! No stale or expired products. You will receive the best quality fresh product. Make great gifts for him or her. Makes a quick, easy and convenient snack bucket essentials and care package for road trips, movie night watching or game night. Save time and money by not having to stop at convenience stores along the way. One Click shopping. Snack bin filled with great school lunch box snack food ideas. Send a care package and have it delivered! Care package boxes will be consistent, you will get what you see in images and read in the description. You will know exactly what you are sending every time. Includes a 6 quart Re-usable Snack Bin carefully packed full of the best and most loved snacks on the market. Each bin will be shrink wrapped for safe travels. Bin measures 14" x 9" x 5".